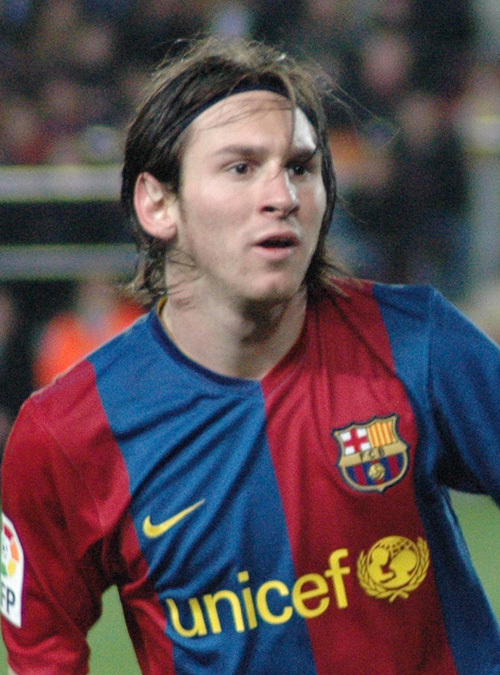 Most people seem to think that Argentina’s hopes are pinned on Lionel Messi. This is not an unrealistic assumption mainly thanks to the tactical genius who is Argentina’s coach – Diego Maradona. There was heavy sarcasm in that last bit about the tactical genius. 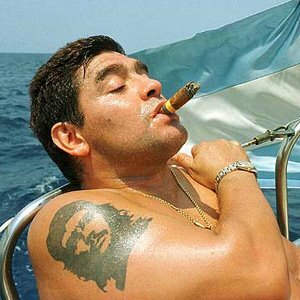 Maradona is a man who tried out 78 different players during their qualification campaign (http://tinyurl.com/29mqpr9). He nearly ruined the entire thing until St Palermo stepped up and redeemed himself for missing three penalties against Brazil. Argentina don’t have a world class Goalkeeper either and Sergio Romero (who?) is set to start in goal for the Albiceleste. Mariano Andujar (who?) and Diego Pozo (who?) are other options for Maradona. Ariel Garce is a surprise inclusion in Maradona’s squad after he left Maradona favourably impressed by his talents against Haiti. He was also banned in 2006 for doping. He and Maradona probably have the same drug dealer. Midfield is an area where the Argentine’s have skillful players. The biggest problem the Argentina midfield is facing is the lack of creativity. I think the English central midfield is more creative than the Argentinean one, which is really saying something. Mascherano and Veron are mostly going to start in the centre of the park with Veron playing the “creative” role. This might have worked had there ever been a World Cup in 2001. However now with Veron pushing 35, you’re in a little bit of trouble when you want him to play as your main creative player. Mascherano will do very well of course, so long as Maradona doesn’t do a Benitez and push him to Right Back. Angel Di Maria should start on the left for the Albicelestes. The diminutive winger has had a fantastic season with Benfica and has attracted the eye of many bigger clubs (no disrespect to Benfica, of course). Jonas Guttierez ought to start on the right offering a lot of energy on the wings. He’s like Dirk Kuyt that way, a sure sign of passion! Messi can also play on the right and if it all Maradona wants to go with an attacking formation, this seems to be the right choice. The strikers have to be the most difficult part when it comes to selection for Maradona. Actually, it isn’t as hard as it looks. They have 5 world class strikers and Martin Palermo. You can be assured that Palermo will not start a single game unless Maradona suffers from some mental illness that is yet to be discovered or Argentina has already qualified from the Group Stages top of their Group and so he decides to give Palermo some running (?) time. If Guttierez does start on the right, it would obviously mean that Messi has got a place for himself right up front. The question now is who will partner Messi up front? Diego Milito, who has been in fantastic form for Inter Milan and has shown his capability in leading the line, Gonzalo Higuain – who’s had a smashing season with Real Madrid, despite not winning a single trophy, or Carlos Tevez (the greedy person) who himself has had a good season in the wrong half of Manchester. It is expected that the greedy boy will start though, because he runs around like a maniac and it’s a useful talent to have especially when your coach thinks that it’s a sign of passion. 1) Ensure some creativity in midfield. It isn’t like they don’t have capable players – Riquelme, Banega et al. Prediction – They should get out of their group as winners. I don’t think they’ll get further than the quarters. There’s an interesting possibility of them playing Germany in a repeat of last World Cup’s Quarter Final match.